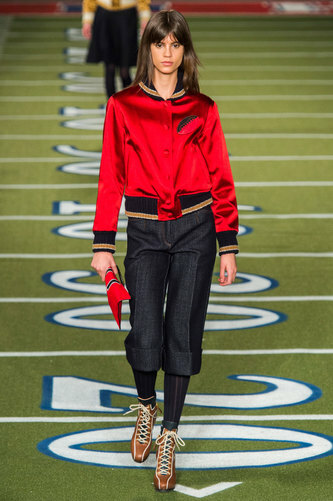 Tommy Hilfiger Women Autumn-Winter 2015 – As the designer celebrates 30 years of his brand, Tommy Hilfiger welcomed guests to a extravaganza on a football field to show off his latest NYFW 15 collection. 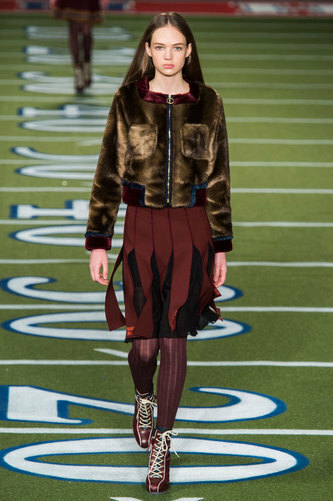 The stadium lights lit up as the Hilfiger cheerleaders, including supermodels Jordan Dunn and Gigi Hadid marched down the stadium adorning classic autumn tones and mixed rich textures. 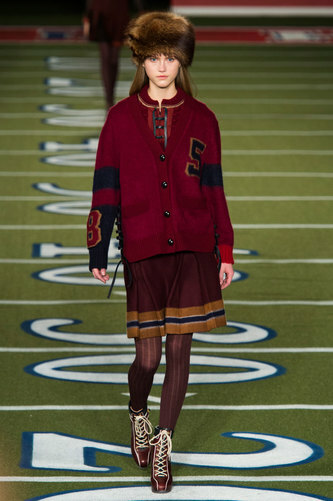 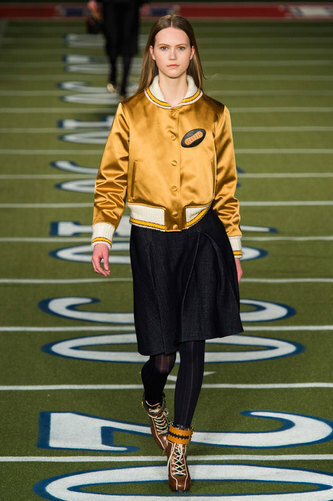 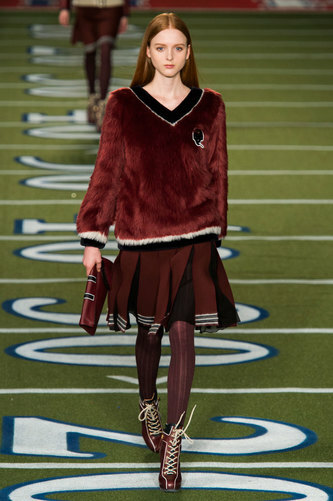 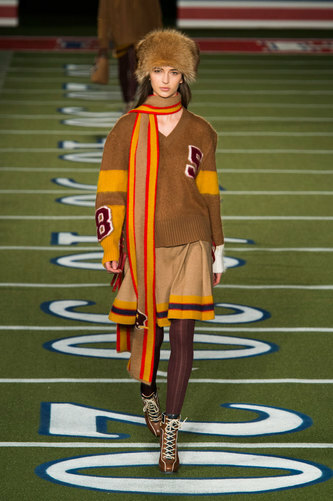 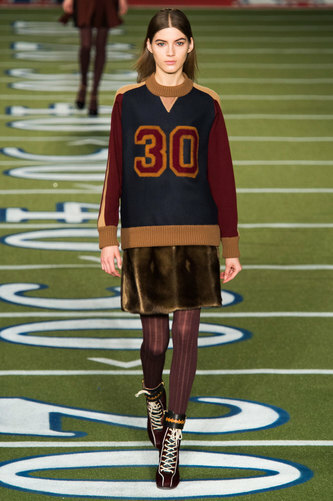 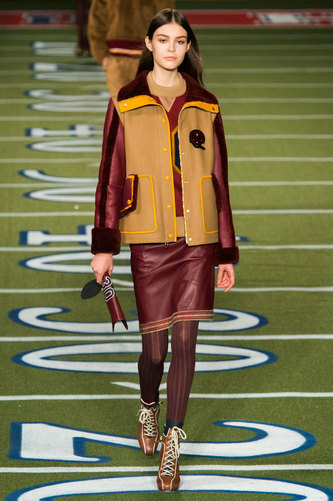 The looks where a mix of high school varsity, including leather padded oversized jacket with the number 30 embroidered across them to represent the 30 years of Hilfiger’s collections. 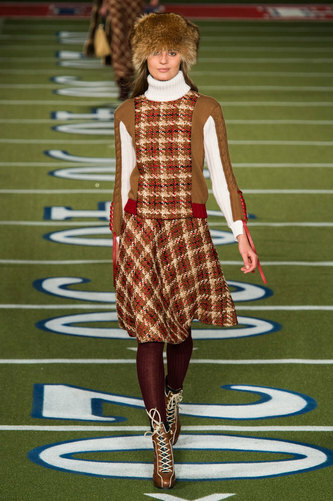 There where also preppy plaid designs and cozy ensembles; fur skirts paired with oversized sweaters, woollen cardigans accessorised with thick tights and collegiate-style scarves, and thick leather football jerseys matched with sky-high heeled winter lace up boots. 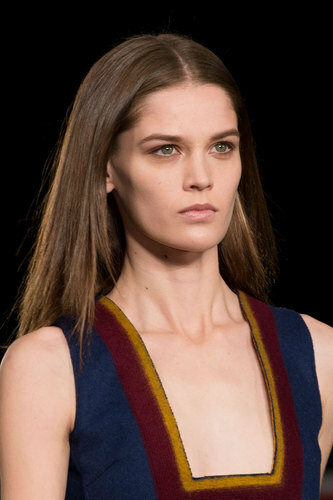 The models where featured with a subtle bare faced look to represent the innocent young school days. 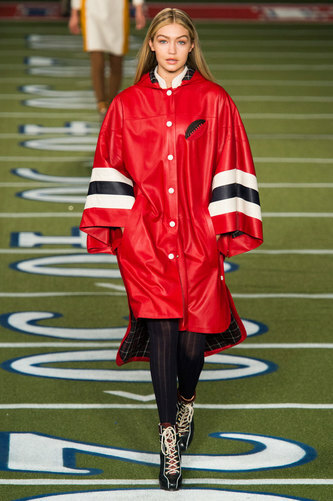 The collection heavily featured on an all american sweetheart aesthetic that is favoured by the brand however it also included hint of sexuality within some of the pieces such as sheer dresses with plunging felines and inched in waists. 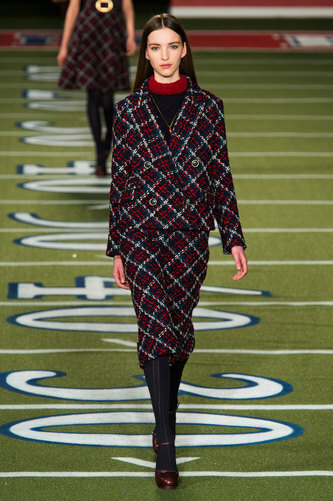 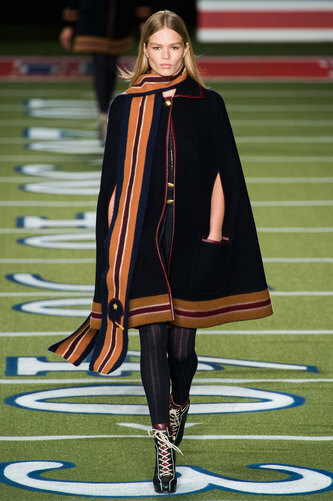 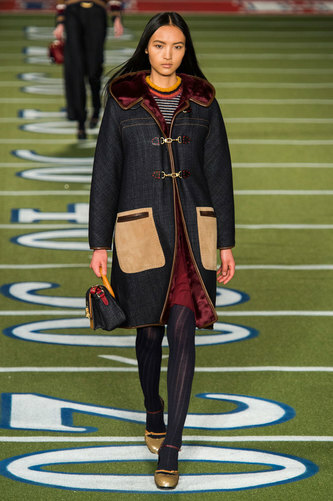 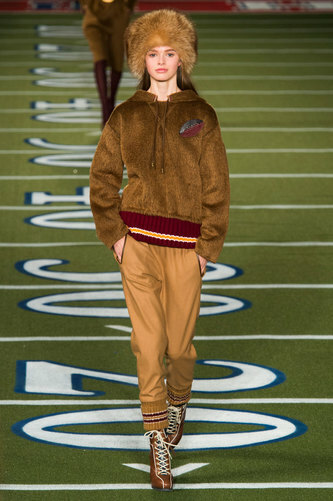 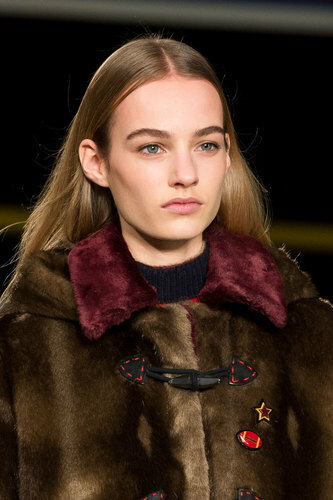 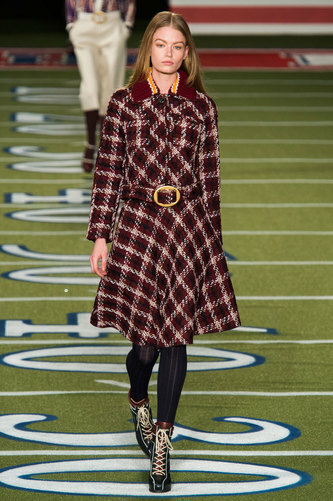 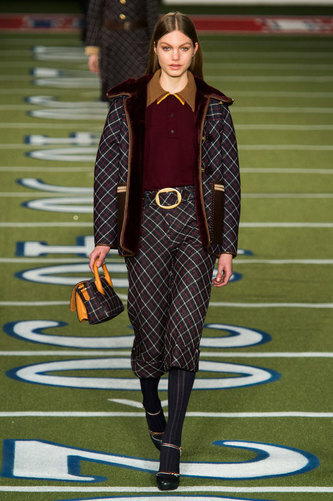 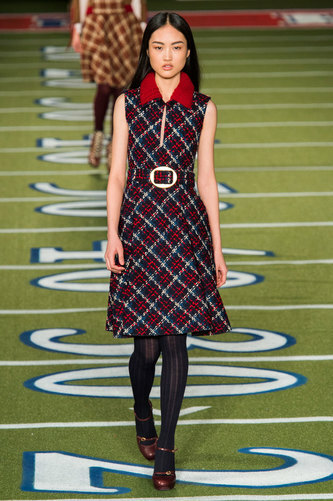 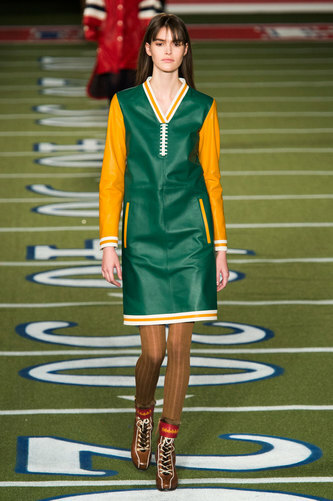 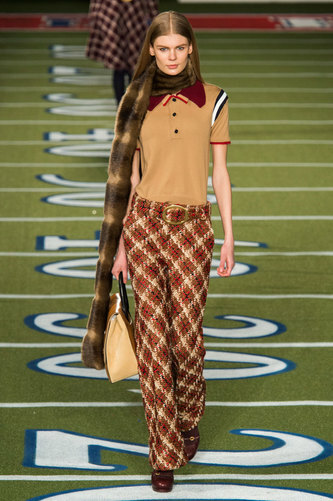 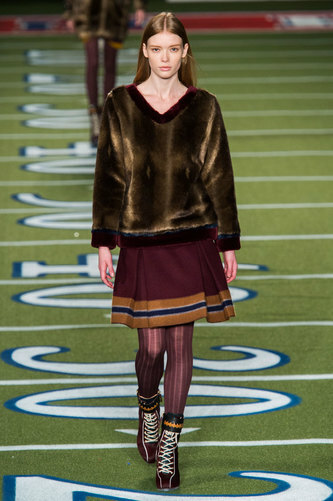 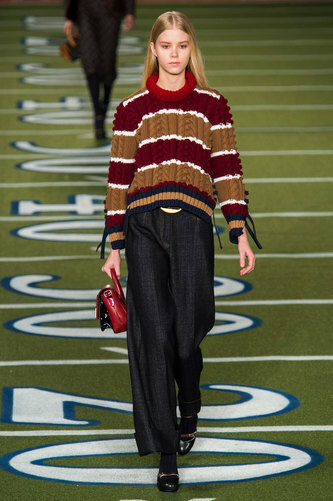 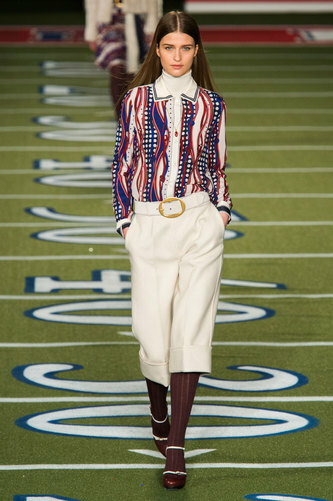 Hilfiger said he drew inspiration from the 60’s and 70’s mixed with a ‘modern elevated twist’.